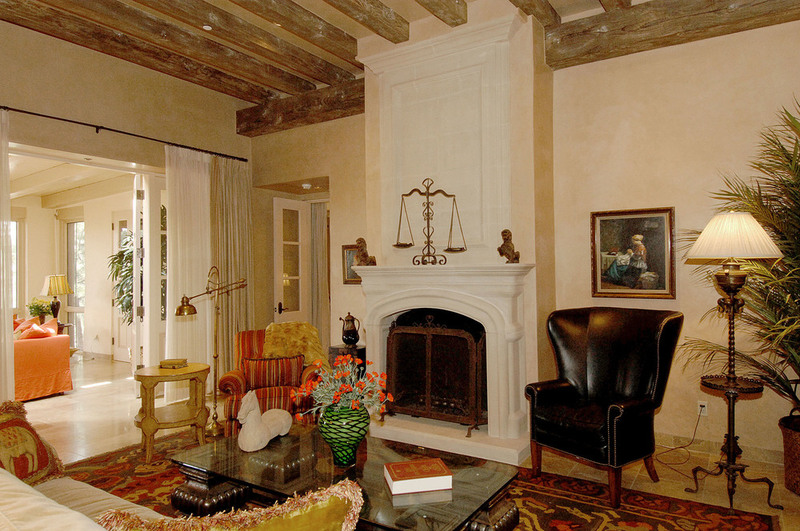 This project was for the owners of a Santa Fe Style furniture and furnishings store. Buying things for the store as well as designing and having furniture built led the owners to travels outside the United States. They wanted their house to reflect their experience as well as their connection to the local environment. The house is designed in Territorial Style and due to the city's height restrictions on the site the house is half buried into the mountain on which it sits. A more European approach was taken to the entry, with its stone courtyard.